Fulcrum CEO Jeff Handy announced Oct. 6 the promotion of Roy Smith to Senior Vice President National Intelligence, Army and Air Force Division and Programs. Smith has been with the Centreville, Va.-based company for two years, having served as the Vice President of Army and Intelligence Programs, supported critical Army and Intelligence programs and provided services to support the Army, Air Force and Intelligence Community programs. Smith is considered an expert in stealth and counter-stealth technologies, ultra wide-band radar/electronic warfare systems development and technology integration into advanced mission platforms. 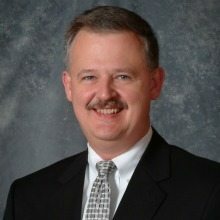 He has 35 years of experience in management and technical leadership in the national security areas of advanced sensor technologies, IC support, electronics research and development and electronic rapid prototyping activities. Smith is the co-inventor of a U.S. patent for using meteor burst communications in a container tracking system. He attended the University of Maryland, where he earned a bachelor and master degree in political science, with a specialty in public administration.